Puppies born in the Grasbroekerhof kennel grow up in house. 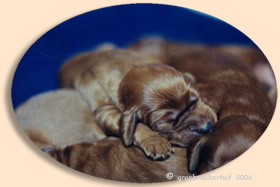 Both pups and parents are tested for various hereditary disorders according to Irish Setter Club protocols. 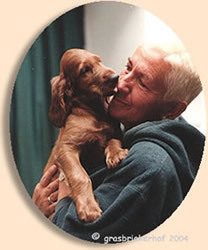 We do our best to produce beautiful, healthy puppies with an extremely friendly character. Occasionly we have a nest from well thought out combinations. You can find more information about both past and future combinations on this website. If you have a serious interest in a pup, please get in touch with us.